Tea Bags or Loose Leaf Tea – Which One is Better? There has been much debate about whether tea bags are better or loose leaf tea. While both are made form the same Camellia sinensis plant, there are a number of factors that influence each of their quality, flavor and aroma. Certainly, loose leaf teas are by far more aromatic and flavorful than tea bags. And, a lot of the difference comes because of the concept and process by which tea bags are prepared. Lets understand each of these two forms of tea to be able to understand how loose leaf teas are better than tea bags. Loose tea leaves are made of a combination of large broken tea leaves, whole leaves young tea plant buds. The conditions and the time of the year in which they are grown also affect the quality and flavor of loose leaf tea. Loose leaf teas when brewed expand and allow water to flow through them thereby extracting and yielding wholesome aroma, flavor, minerals and vitamins. With loose leaf teas the brewing process is slower and the leaves can be re steeped for a few more cups of flavorful and healthy tea. 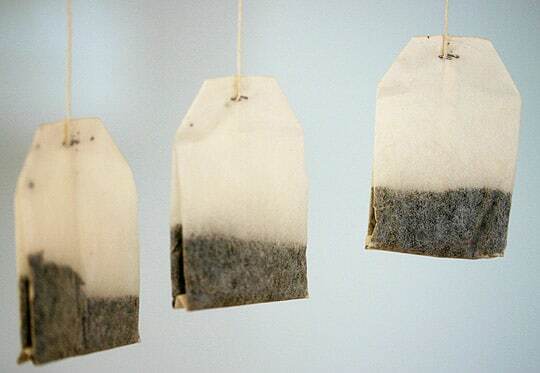 Tea bags usually comprise of tea dust and fannings. Now fannings and tea dusts are smaller in size as compared to loose leaf tea and therefore provide more room for the essential oils to evaporate. This gives the tea a flat taste with little or no aroma. Besides, the way most tea bags are packed (in paper bags and paper boxes), the aroma and freshness is lost. Definitely, loose leaf tea is far better than tea bags since they are fresher, more aromatic and flavorful. However, having said that tea bags are very convenient to use and save the hassle of straining tea, you can consider buying paper tea filters that come separately and use them with your fresh loose leaf tea. These tea filters will help the leaves of the loose leaf tea to expand as much as they need to, to provide great flavor and aroma and also save your effort of straining. So next time you choose to buy suppose green tea online in India, consider buying private label loose leaf teas and paper filters separately to have the best of both worlds. So, which one do you prefer, loose leaf tea or tea bags? Share your thoughts and opinions with us in the comments below; we;’d love to hear from you as well.